Video by Philip Lewis including the audio of the children Kirstjen has helped detain. On June 22, Homeland Security secretarty Kirstjen Nielson got an early morning surprise at her Aleandria townhouse. 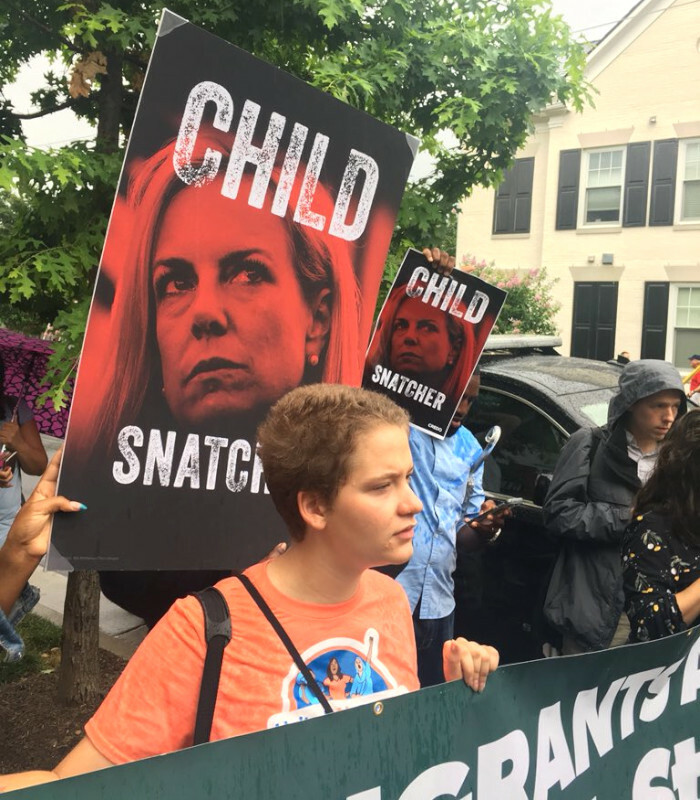 Before she could leave for work, protesters showed up playing audio of the children she helped to separate from their parents. Protesters chanted "No Justice, no sleep! and "Free the kids!" 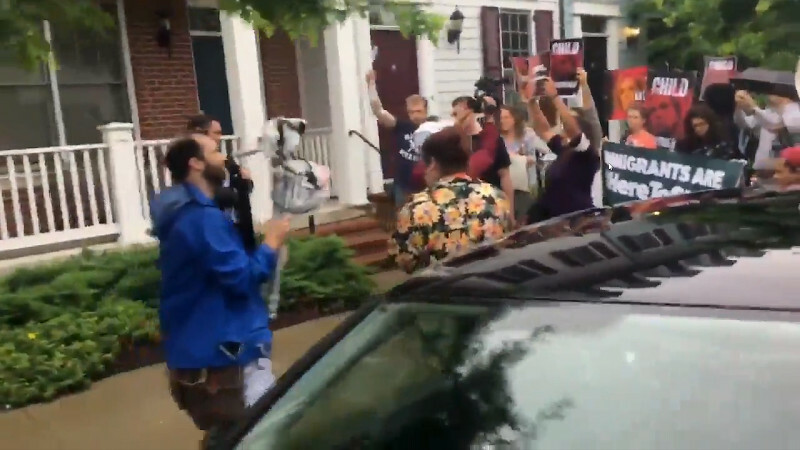 When Kirstjen finally left for work she had to pass protesters chanting "SHAME!" There is also a report on Twitter that Kirstjen Nielson has told GOP Congressmen that there are plans to start separating families again one the uproar quits down. This sort of thing will guarantee she will be targetted by protesters again and again. This does not stop at the office, as the world saw twice in the past week. At work, eating at a Mexican restaurant, at home and at all hours of the day and night, monsters like this are facing crowds made furious by these attacks on innocent children. NO SLEEP FOR THE WICKED! Meanwhile estimates are about 2,300 children separated from their parents. WTOP News reports many have been "lost" and cannot be found by the US government to reconnect to their parents.